Carnival Corp has unveiled a new cruise brand called 'fathom' geared towards travellers wanting to make a 'social impact' through combing voluntary work with tourism, an activity increasingly known as 'voluntourism'. Fathom will be launched in April 2016, sailing seven-day voyages from Miami to the Dominican Republic. The 710-passenger, 2001-built Adonia will be redeployed from Carnival Corp's P&O Cruises brand for the start-up. "Fathom will cater to a growing market of consumers who want to have a positive impact on people's lives and aren't always sure where to begin," said Carnival Corp CEO Arnold Donald on 5 June. The volatility of global spot freight rates has continued to increase this year over 2014, Drewry Maritime Research has revealed. Drewry stated that this growth in spot freight rates is based on the assessments on 11 routes gathered by the World Container Index (WCI). The monthly volatility on Asia to Europe routes has increased 43% on average, in comparison with last year. "Many non-contract shippers are not currently equipped to cope with huge volatility in their freight costs." No preguntéis solo qué puede hacer Grecia por Europa; preguntaos qué podemos hacer los demás europeos por los griegos. Sirva este eco de la investidura del presidente Kennedy, enero de 1961, como celebración. ¿De qué? De la primera reunión en casi tres meses —desde el 20 de febrero— entre los ministros del Eurogrupo, el griego Yanis Varoufakis incluido, sin resultados antipáticos. China imported a record high 2.085 million tonnes of LPG in the first quarter of 2015, a sign that its propane dehydrogenation (PDH) plants are finally having an impact on LPG trade. China began establishing these plants in 2013 to meet its requirement for propylene, a plastic-making ingredient. High-grade propane imports are feedstock for the plants. IHS Energy's Waterborne Commodity Intelligence, which tracks seaborne LPG movements, said in a recent report that while China's import volume for April has not been officially released, figures for the month could be close to 950,000 tonnes. 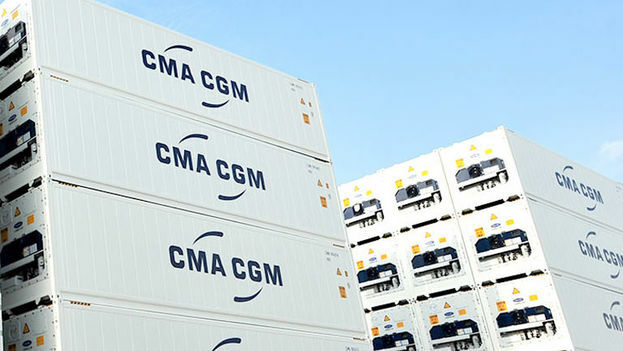 Contenedores del armador francés CMA CGM.